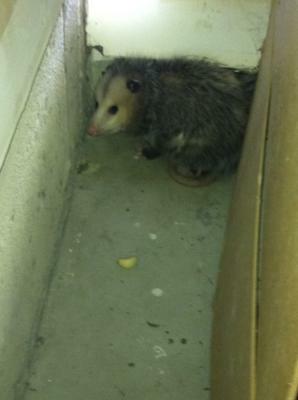 I have a Possum living in my garage. I just found him today although I think he has been living with us for a while, just in hiding. We would find stuff knocked off of shelves and things messed up in the garage the next day. We had always assumed it was a cat that had gotten into the garage. However, we have had other visitor such as: skunks, mice, and raccoons. Garlic does not work, neither does critter ridder. I have absolutely no idea how you'd get rid of your Possum, but perhaps one of our readers will know!